If there is one concern almost all travellers to the high Andes share, it would have to be about suffering the pits of hell due to altitude sickness. And although we certainly understand the apprehension of those travelling to high-altitude destinations like Cusco, Machu Picchu and La Paz, we’d love to dispel a few myths, set the record straight in regards to this most feared of conditions and, more importantly, arm you with a wealth of knowledge so you can mitigate the risks of feeling poorly during your travels. Not only is altitude sickness not as high a concern as is often made out to be but there is literally a TON of stuff you can do to prevent any symptoms from taking hold. Moreover, AS is one of the most unpredictable conditions out there: there’s just no way of telling who will suffer and who will breeze right through it. One simply can’t tell. So…worry about what may or may not eventuate? Or make a plan to get on top of it and enjoy the absolute adventure of a lifetime in South America? We know which one we’d vote for! Altitude Sickness is caused when a person ascends to a high altitude too quickly, not giving the body time to acclimatise. The lower oxygen levels at higher altitude means, in layman’s terms, that bodily functions can be greatly restricted. This means that things like your metabolism slows down and your breathing can become more laboured yet a simple change in what you do, what you eat and what you drink can have wonderfully mitigating effects. There are three forms of Altitude Sickness, the most common being mild Altitude Sickness (AMS), which causes symptoms similar to a bad hangover, which usually only last a day or two. The two other forms, high altitude pulmonary oedema (HAPE) and high altitude cerebral oedema (HACE), are much more severe and require immediate medical attention, which is when a having a personal guide at hand becomes invaluable. As an ‘average’ tourist (ie. not a professional mountaineer setting off to break a Guinness Record for the fastest mountain ascent in history) the risk of pulmonary or cerebral AS are actually very slim. The Andes in Bolivia. Photo credit: Shutterstock. Who suffers from altitude sickness? Altitude Sickness actually has nothing to do with fitness level, even Olympic athletes can be effected by the symptoms. On our tours, we’ve had fit and athletic 25yo who have suffered more than retirees, in their 70s, who had earlier nights’ sleep and less to eat and drink. Interestingly enough, not even scientists can accurately predict who will and who won’t suffer from altitude sickness, making this one of the most subjective travel conditions of all, because it seems to be more about what you do at the time, rather than how fit or young you are. Having said that, what does make a huge difference is HOW one gets to high-altitude destinations. If you were to fly into La Paz or Cusco, for example (both cities are well above 3000m) then you will be much more likely to suffer the effects of the altitude than if you were to reach either city via road, an endeavour which would be slow and stead, giving your body time to adjust. If you must fly in to a high-altitude destination then you’ll want to factor in plenty of rest time, especially in the first two days. 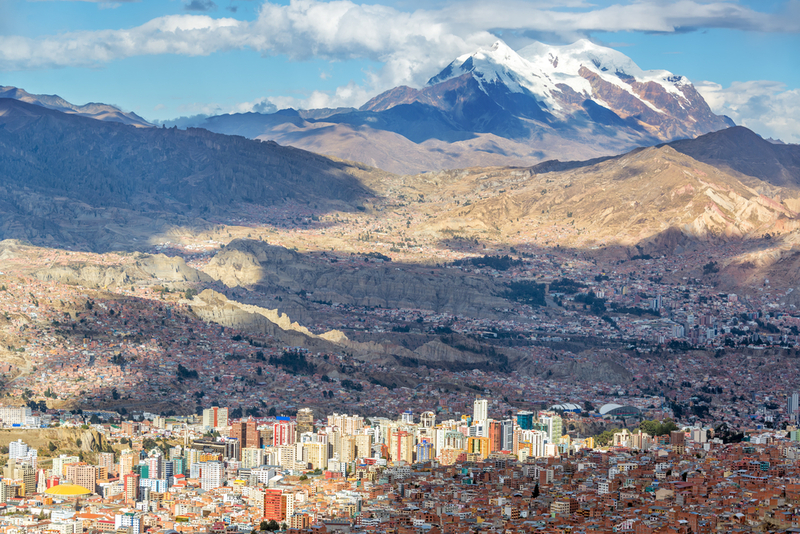 The city of La Paz, Bolivia, located at a high altitude. Photocredit: Shutterstock. Symptoms of Altitude sickness usually develop between 6 to 24 hours after reaching a high altitude, and can continue for a few days after. Hikers taking a rest. Photo credit: Shutterstock. If you experience any of the above symptoms, immediately notify your guide, seek medical help, and make plans to travel to a lower altitude as soon as possible. What to do if you experience symptoms of altitude sickness? Generally speaking, it is advised that people who start to develop mild symptoms of AS (a headache, sore eyes and drowsiness) remain at their current altitude for at least 24 hours (preferably, 48) to give their body a chance to acclimatise. If symptoms improve, you can continue to climb to a higher altitude, albeit slowly. If you find your symptoms not improving at all within a day or two, however, then you’d be well advised to decrease your altitude by 500m at least for a day, and see if things improve. Severe altitude sickness, on the other hand, is a medical emergency and if you, or any of your travel companions display signs of severe sickness, you should immediately descend to a lower altitude and seek medical help. 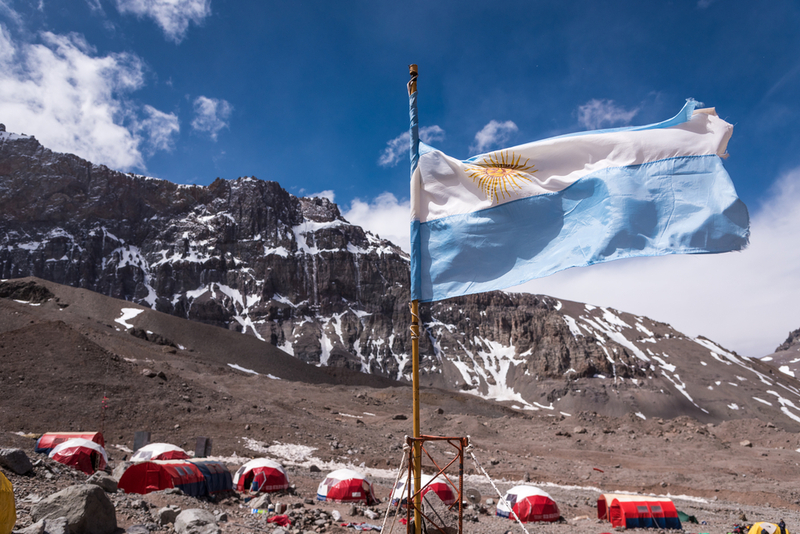 A base camp of Mt.Aconcagua, Argentina. Photo credit: Shutterstock. We’re sure you’ve all heard that prevention is the best cure, and when it comes to altitude sickness this couldn’t be truer! When travelling at high altitudes in the Andes, our motto is to walk and move slower, eat half, avoid alcohol and drink 3-5L of water a day. Dehydration is one of the biggest risks of AS that you can actually control, so keep up the fluids and keep everything else at a minimum. Deep breaths. Your body is deprived of Oxygen, take a moment to take a few deep breaths. No alcohol. Avoid alcohol, its effects are enhanced at high altitude and you will dehydrate faster. Instead, drink lots and lots of water. Coca Tea. Take advantage of all the delicious coca tea offered in every hotel and restaurant in the high Andean regions of South America. It really helps! Ascend slowly. Get acclimatized at a lower attitude before heading off to higher grounds. Visiting Cusco? Stay at the Sacred Valley upon arrival where the elevation is about 2,000 feet lower, then work your way back up over the next day(s). Go easy. The best, probably most ignored, advice we can give – take it slow. Your body cant be rushed adjusting to the altitude and lower level of Oxygen, so take it easy during the first days and don’t go on hikes right away. Give your body the time it needs. Rest when you feel tired. Take it serious. Altitude sickness is not to be taken lightly, if it reaches an “emergency” status, seek help and get hooked up to a tank of Oxygen as soon as possible. If your travels take you to even higher altitudes, the best way to prevent more serious symptoms is to make sure you ascend slowly to give your body time to acclimatise. For altitudes of around 2,500m it can take multiple days for the body to adjust. For example, if you are already above 3,000m try not to increase your altitude by more than 300-500m at night: you can climb higher during the day, but make sure you go back down to a camp to sleep. Hydration is of great importance in high altitudes. Photo credit: Shutterstock. There are medical and herbal remedies that claim to help with altitude sickness, its best to seek advice from a medical professional prior to visiting locations of high altitude. The most important info to take away from this guide is that altitude sickness – as in, the actual life-threatening condition – is actually a rarity among tourists, as most have plenty of time to travel slow, acclimatise and rest when they feel tired. Moreover, although many may suffer what are considered ‘mild’ symptoms, the antidotes are plentiful, simple and affective. So stress not, dear traveller and don’t let a headache get in the way of you enjoying some of the planet’s most unmissable travel destinations. 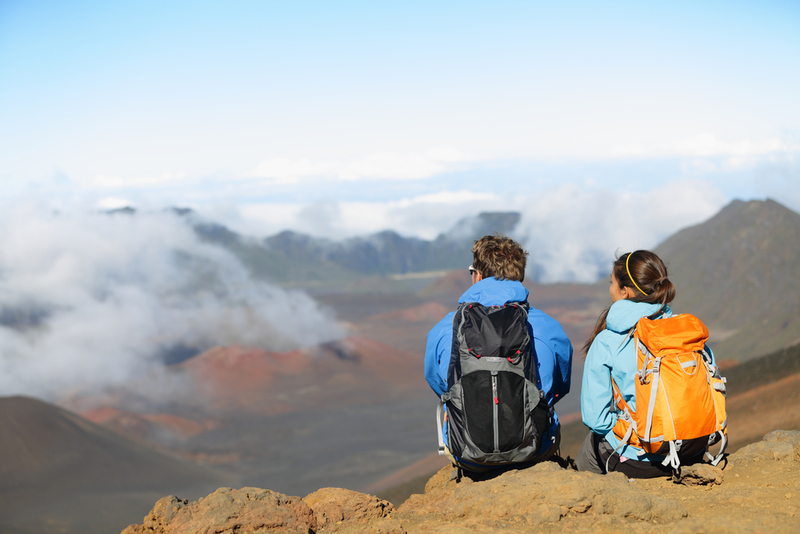 Now that you know all about how to prevent altitude sickness, it is time to go out there! 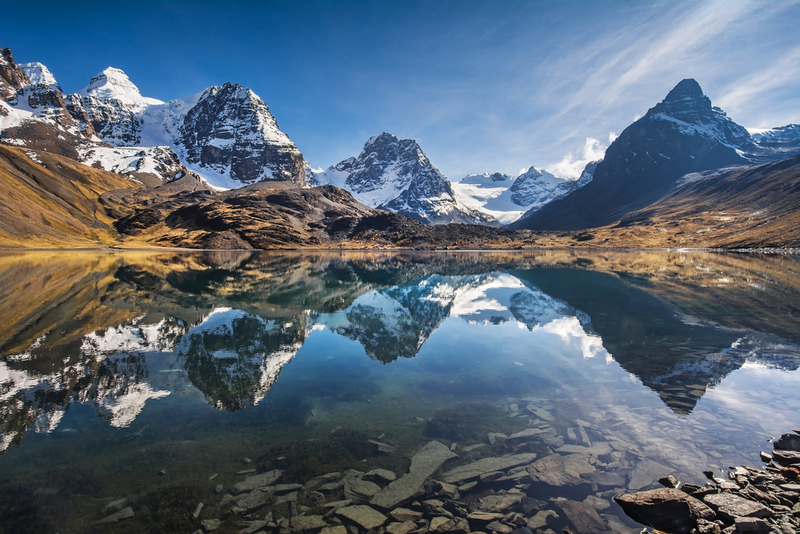 Chimu Adventures offers many treks at different altitudes all over South America. What about a trek to the Machu Picchu in Peru or do one of the Top 5 Treks in Patagonia? Click here for more information.